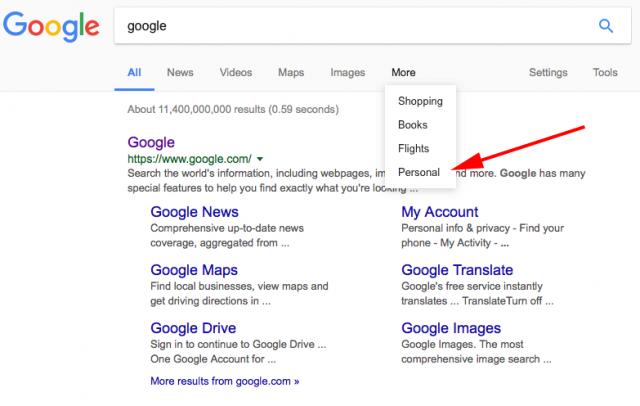 Google now lets searchers filter their search results by "personal" results. By that, it mostly means emails, flights, anything related to that Gmail account they are logged into. You should be able to see it if you are logged into a normal Gmail account and do a normal Google search. If you are logged out or logged into a Google Apps (GSuite) account, you won't see it. It shows me a bunch of emails. Note, I don't use my personal Gmail account much, so it is mostly filled with spam. 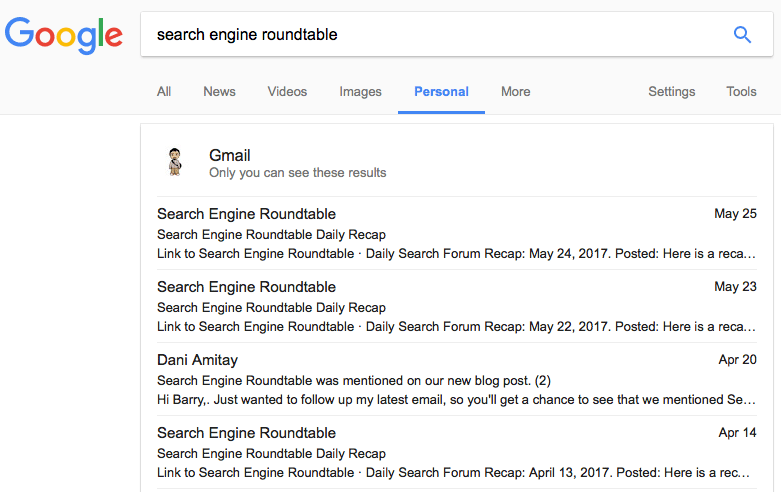 Google first launched personalized results in search back in 2012 but it was included in your core results without the personal filter option. I asked Google for a comment on this but I have yet to hear back. When I do hear back, I'll post something here and at Search Engine Land. Update: This option has been removed as of Tuesday, May 30th.